Luke Philp has signed an entry-level contract with the National Hockey League’s Calgary Flames. The Canmore, Alta. 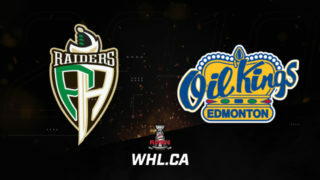 product inked the contract two days after he completed his third season with the University of Alberta Golden Bears, winning silver at the 2019 U SPORTS Cavendish Farms University Cup. 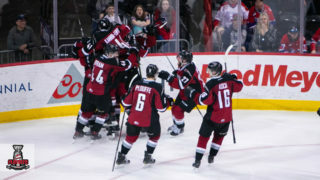 Beginning his Western Hockey League career with the Kootenay ICE in the 2011-12 WHL Regular Season, Philp would go on to appear in 264 WHL regular season games with the ICE and Red Deer Rebels, captaining the latter at the 2016 Memorial Cup. In his WHL career, Philp reached the 20-goal mark four times and the 30-goal mark twice. Overall, he finished with 251 points (103G-148A), including 27 power-play goals, two short-handed goals, and 15 game-winning goals in his WHL career. 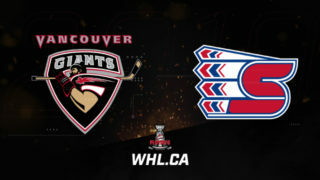 In 45 WHL Playoff games, Philp posted 41 points (16G-25A), including three power-play goals, one short-handed goal, and four game-winning goals. At the 2016 Memorial Cup, Philp recorded three points (2G-1A). 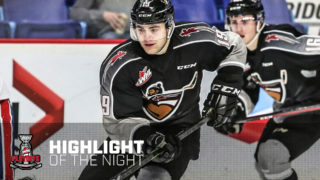 After the completion of his WHL career, Philp accessed his WHL Scholarship and enrolled at the University of Alberta, joining the Golden Bears men’s hockey program in Canada West play. Philp would show continued growth over his time with the Golden Bears, evolving into the best player in the entire country at the U SPORTS level. In 78 Canada West regular season games over the past three seasons, Philp recorded 103 points (42G-61A), including 14 power-play goals and three short-handed goals. He raised his game further in the Canada West playoffs with 14 points (8G-6A) in 17 games, guiding the Golden Bears to three consecutive Canada West men’s hockey titles. In the 2017-18 season, Philp played an integral role in helping the Golden Bears claim their 16th national championship in program history. In six games at the past two U SPORTS University Cups, Philp has posted eight points (6G-2A). At the end of the 2018-19 Canada West season, Philp received his second consecutive Dave “Sweeney” Schriner Trophy as the top scorer from the regular season. Philp also earned his second consecutive Canada West Player of the Year Award. At the 2019 U SPORTS Men’s Hockey Awards, Philp was recognized as a first team all-star and with the Senator Joseph A. Sullivan Trophy for Player of the Year. This year, Philp was one of a record 405 WHL graduates are accessing their WHL Scholarship, including 199 competing at the U SPORTS level. 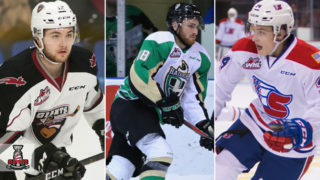 Established on a league-wide basis in 1993-94, over 6,000 WHL Scholarships have been accessed by WHL graduates, representing an investment of over $25 million by WHL Clubs. 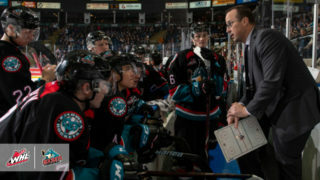 This season, WHL Clubs will contribute in excess of $2.6 million to the 405 WHL graduates utilizing the WHL Scholarship.